Why is All Girl Electronic like a coming of age movie? Hi, my name is Jenny! I’m Vietnamese, hailing from Western Sydney. When it comes to music, I always love to build a story from a random film/image that I really liked and relate that to my own personal experiences. From there, I would start experimenting with sounds that remind me of it – the colours, the textures, the emotive qualities. I like to make music where you close your eyes and immediately, you’re transported to another world. (Vague, I know – I’m a Scorpio with an Ascendant Pisces, after all). How would you describe AGE to someone who has never been before? Diving head-first into AGE as an inexperienced person full of self-doubts to navigating your way through the workshops, gradually building up your confidence and skill… – it’s kind of like that pivotal moment in every coming-of-age movie. The one where you band together with your eclectic misfit friends, and you realise that, yes, this is always where you were supposed to be. (If you have seen Baz Luhrmann’s The Get Down or John Carney’s Sing Street, you will know exactly what I’m talking about). I just wanted to create. Music is so incredibly important to me and I had always wondered what it would be like to actually make it. When I found about the AGE workshops, I couldn’t believe that there would be such an amazing opportunity like it, existing in Western Sydney out of all places! The workshops seemed like the perfect safe and inclusive space to take that next step in growing creatively in the seemingly daunting world of music. Everyone in the AGE program has absolutely been wonderful. Everyone is always looking out for each other and encouraging and supporting each other. What I especially love is just how different we all are but how we are simultaneously exactly the same: we love music. I love that Nicola and Del (AGE facilitators) take inspiration from everywhere, and are so knowledgeable! Every workshop, we are always learning something new about music from them – they have really been inspiring in the way that they foster the idea that music doesn’t have to just be X or Y. It could take on so many forms. There is no ‘right way’ to making music and that also shines through the mentors that come every week. I don’t think I would have ever had the courage to explore the musical world if it weren’t for AGE. Whether it be my self-doubts and/or external factors, as cheesy as it sounds, it just didn’t seem tangible for me. I’m an over-thinker for better and for worse. AGE has become a sort of sanctuary for me where I can freely explore myself creatively and learn from other like-minded individuals. As someone who has been told many times whether directly or indirectly that pursuing a creative path was ‘career suicide’ and that I should opt for successful paths like that of a doctor, something like AGE tears down these hindrances. Instead, AGE empowers you. If you want to be part of an amazing creative community of youth, join AGE. 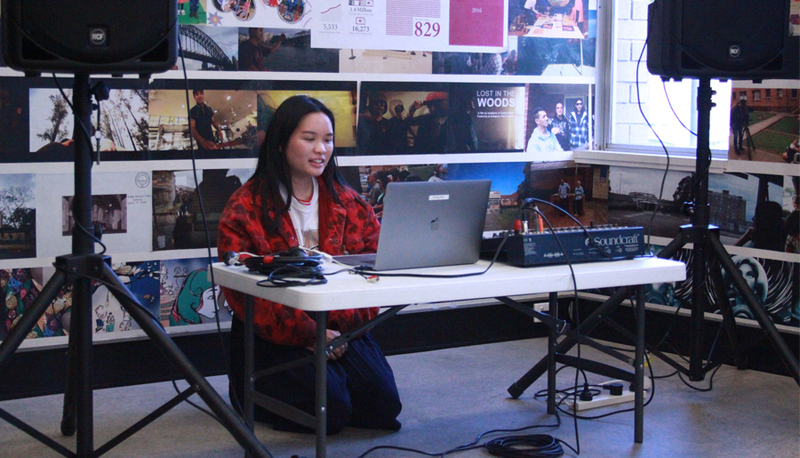 Click here to apply for the next round of the All Girl Electronic Workshops!